At one time, people considered Microsoft a true contender in the mobile space. Just four years ago, some analysts predicted that Windows Phone would leapfrog BlackBerry and iOS to claim the number two spot behind Android. Some researchers expected Microsoft's market share to hit 20 percent, while others even predicted the company would edge past Android. Now, the company must execute a comeback. Microsoft has reinvigorated interest in Windows with the upcoming Windows 10, and revealed innovative surprises like HoloLens, a nod to its vision of the future. By many accounts, today's Microsoft feels fresher and newer than the Microsoft of old. But Microsoft's mobile business languishes and still lacks any hint of a wow-factor that consumers and enterprise users have grown to expect from mobile leaders. Windows Phone owns but a sliver of the mobile OS market and Microsoft's app ecosystem fails to woo developers and users. "When people say, 'My life is on my smartphone,' they're not lying. Considering the power the smartphone has on people, it's important for Microsoft to play there," said Ramon Llamas, analyst at IDC. "And Microsoft has unique assets to bring to this space." Microsoft's years of missed mobile opportunities have taken a toll, but analysts say it's not too late for the software giant to recover. Here are five ways the company can start. 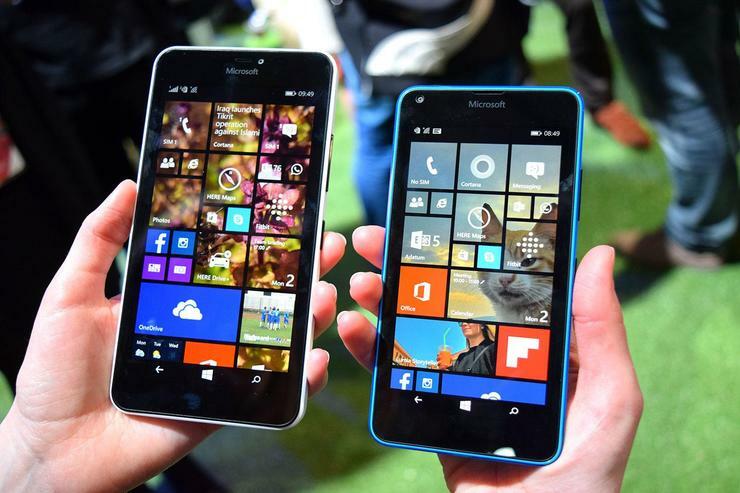 Microsoft's focus on the low-end smartphone market hasn't been enough, analysts say. According to IDC, Windows Phone in 2014 had the smallest year-over-year increase in unit shipments among the main mobile OSes at just 4.2 percent, well below the overall market average of 27.7 percent. Despite these numbers, the company continues to focus on affordable handsets, just last week launching its cheapest smartphone yet, the $70 Lumia 430. Growing its base of users beyond the low-end market -- with higher-end flagship devices, for example -- could help boost its mobile efforts and compete with the likes of Samsung and Apple, IDC's Llamas said. "Microsoft needs to grow across the spectrum, not just in the midrange and low-end," he said. "Having a high-end flagship product is essential to bring attention to the rest of the product portfolio. That area has been a clear gap for Microsoft." But users interested in a high-end Windows device will have to wait. The company said it won't launch a new flagship handset until it makes Windows 10 available this summer. By many accounts, Windows 10 is expected to increase Microsoft's mobile business. But how well Microsoft delivers on these promises will determine its success. "Windows 10 needs to do three things: It has to do what it says on the tin, so to speak, it has to create that continuity for developers, and it has to go forth and multiply," said John Jackson, analyst at IDC. In other words, a more uniform and congruent cross-platform experience could reinstate users' faith in the Windows ecosystem and create an uptick in devices sold. "There's some thinking that the success of Windows 10 can create a demand for mobile products, but it's difficult for me to envision that happening in a way that really moves the needle," he said. Windows 10 alone won't be the panacea for all of Microsoft's mobile shortcomings, but it will improve market share -- just how much, we'll have to wait and see. Though Microsoft's Windows Phone continues to struggle, experts project that its market share will creep higher. From 2013 to 2014, Windows Phone grew 4.2 percent to grab 2.7 percent of the market, according to IDC, which predicts that by 2018, the OS will control 5.6 percent of the market. "These are still small numbers, but no one is expecting Microsoft to magically flip the switch and 1,000 flowers bloom," Llamas said. "This is a marathon for Microsoft, not a 100-yard dash." "I think Microsoft has been underselling the enterprise business capabilities that Windows Phone has to offer. Office 365, Skype and OneDrive are very strong assets to bring to enterprise users," he said. "Business users want to have a seamless experience across smartphones, tablets and PCs. By no means should Microsoft leave consumers, but it should expand its focus for productivity." Satya Nadella, appointed CEO little over a year ago, has never openly criticized his predecessor Steve Ballmer's vision of "devices and services," but he's had to pick up the pieces of questionable business decisions that supported it. While Ballmer brokered the $7.2 billion acquisition of Nokia's Devices and Services business, the deal closed after Nadella took over. Nadella has carried out "a strategic alignment" related to Nokia that has involved cutting about 12,500 jobs and closing plants in Europe and Asia. "I would have thought six months ago that we would have seen some changes in Microsoft's disposition toward hardware, and that hasn't happened," Jackson said. "At this point, you either double-down on hardware, or you don't. When you look at Microsoft's hardware strategy, it's very hard to compete symmetrically with Apple or Google." "The hardware business, for everybody but Apple at this stage, has become what you'd expect: It's a business with inherently low margins, even for Samsung," he said. "The school of thought that says you, as a platform-centric business, need your own hardware to combat Apple and Google -- that philosophy is changing." It aims to let developers build one application that will work on PCs, tablets, smartphones and even the Xbox, which could make building compelling apps for the mobile version of Windows 10 easier. But that's a tall order, and experts aren't convinced it will deliver. "If it actually does what it says it's going to do, developers will find this refreshing and attractive, perhaps more so with enterprise-oriented developers than consumer-oriented development," Jackson said. Microsoft says it remains committed to growing its application marketplace to attract more users. Both active users and downloads increased in 2014, Microsoft's Todd Brix said in a December blog post. "We made good progress by both attracting over 30 percent more active users and by exceeding a 110 percent year-over-year increase in app downloads and gross sales," he said. "In addition, the ecosystem has grown, with an 80 percent increase in registered developers and 60 percent increase in app selection year-over-year." Microsoft's speed of progress will not dazzle anyone, Llamas said. "This is going to be a long slog, but the pieces are coming together to be better than they have before."